Copyright : This item is reproduced courtesy of Jenny Scott. It may be printed or saved for personal research or study. Use for any other purpose requires written permission from Jenny Scott and the State Library of South Australia. To request approval, complete the Permission to publish form. 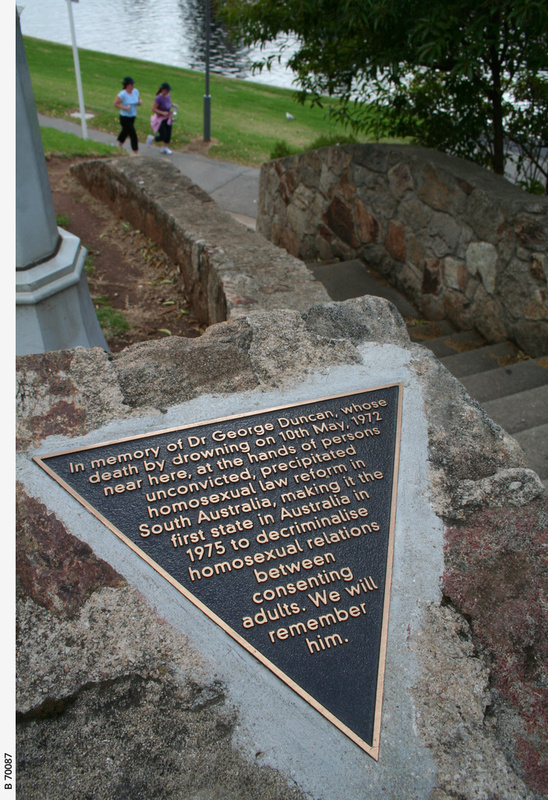 In memory of Dr George Duncan, whose death by drowning on 10th May, 1972, near here, at the hands of persons unconvicted, precipitated homosexual law reform in South Australia, making it the first state in Australia in 1975 to decriminalise homosexual relations between consenting adults. We will remember him.